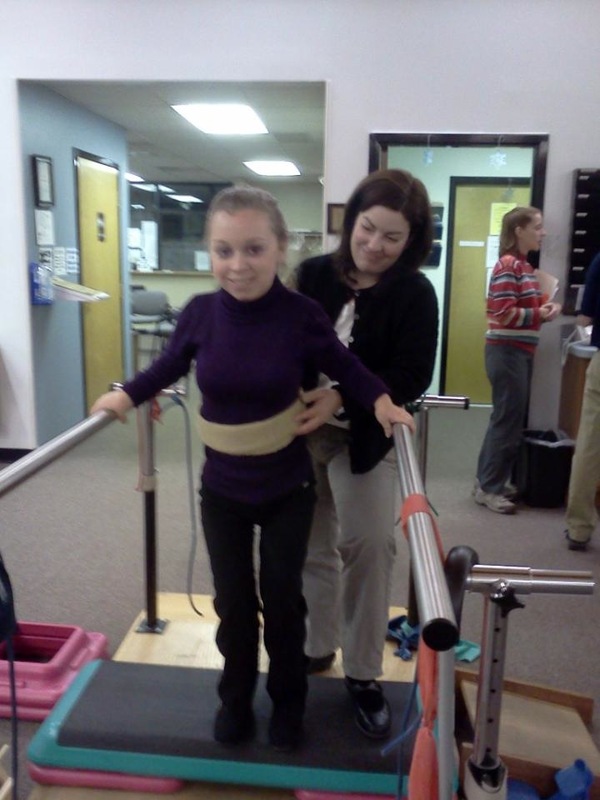 Kelly was first diagnosed with Juvenile Idiopathic Arthritis (JIA) at the early age of two. At the time of her diagnosis in 1982, options for treatment were extremely limited. As a result, Kelly’s mobility has become exceedingly restricted, requiring a walker or wheelchair at home and has to rely on a wheelchair if she wishes to travel further afield. For many sufferers, this would understandably place limitations on how they live their lives, however, Kelly has not allowed this diagnosis to slow her down. In her formative years, Kelly Rouba-Boyd had a good support system in the form of her parents and brother. While appreciative of the support she receives from her family, Kelly, like many who suffers from a chronic illness, understands the impact her condition has on others. No parent wishes to see their child struggle; as parents of a child with JIA, this is an unfortunate reality. Kelly acknowledges how difficult it must be for her parents to see their child in pain and struggling with normal everyday tasks. During a number of hospitalizations, Kelly’s grandparents were also on hand to take care of her brother, who spent a lot of time with Kelly at medical appointments. This support allowed Kelly to grow in to a confident young woman, able to take on life with her JIA diagnosis. Today, Kelly considers herself blessed to have a wonderfully supportive home life. Her husband and step-sons are on hand to offer assistance and love. Kelly’s ability to inspire starts with those closest to her, her step-sons aiding in giving disability awareness presentations in an effort to educate others on what it means to live with a disability. Despite the challenges she has faced, Kelly chooses to be an active participant in the fight against arthritis. She currently serves as the 2nd Vice Chair on the ANRF board, is on the board of Project Freedom and also advocates for CreakyJoints.. Through her work, she chairs and serves on a number of emergency management committees seeking to promote inclusive preparedness (ensuring access to necessary services for people with disabilities during times of conflict, disaster, and every day life). Kelly has developed various coping mechanisms that have helped her in this journey. In her youth, she shunned the idea of joining a support group, however, her time at college led to a change in perspective. Kelly decided to give a presentation to her class on arthritis, which helped her to develop meaningful connections with other arthritis sufferers. Many of these relationships, including those she has cultivated at ANRF and other organizations, have become critical to her personal support network. Reaching out to this support network has led to effective solutions and helped alleviate unnecessary suffering. In the same vein, Kelly advocates for the role social media has in tackling this disease, providing a platform in which people facing similar challenges can reach out to one another. One of the most intimidating experiences resulting from JIA that Kelly dealth with was the decision to have a neck fusion. Deterioration of her vertebrae led to compression of her spinal cord and loss of feeling in her extremities. Her doctor estimated a 70% chance of paralysis. Terrified, Kelly sought advice from a friend she had met through Facebook who was going through a similar situation. Leaning on her for support and understanding allowed Kelly to get through the surgery successfully and move forward with her life. A key message that Kelly hopes to get across is that arthritis is not a disease that only affects the elderly. There are many forms of arthritis, none of which discriminate based on age. Many forms of arthritis can be extremely debilitating, even if a person appears fine. Each day is different and an arthritis flare can occur at any time. Secondary conditions are common for many sufferers, too. Kelly strives to make others aware of these issues, hoping that shared information will lead to better treatments and that a cure will be found sooner rather than later. This has been the inspiration behind Kelly’s ongoing support for and work at ANRF. Kelly rarely spends time dwelling on the pain and other symptoms associated with her JIA. The obstacles she has faced have led to a tremendously driven person, one who thinks outside the box to come up with innovative ways to reach her goals. Sharing her story and experiences has been a means to prevent suffering in others. Eleven years ago, Kelly was working on a book entitled Juvenile Arthritis: The Ultimate Teen Guide (available through The Scarecrow Press). Through her research, she reached out to ANRF and was touched by the compassion of the ANRF community. Nearly all funding raised by ANRF is channeled towards supporting critical and cutting-edge research. Kelly took up an active role in the Foundation and before long, there was a grant named after her, specifically geared towards funding research in JIA. Join Kelly in supporting ANRF and its cutting-edge research!